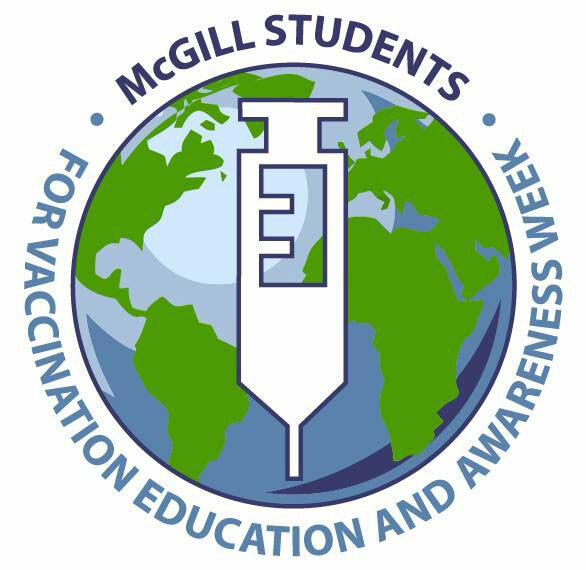 The McGill Students for Vaccination Education and Awareness, invite people to take part in the first annual Let's Talk about Vaccines three-part seminar series from Nov. 22, 23 and 24. The McGill Students for Vaccination Education and Awareness, invite people to take part in the first annual Let’s Talk about Vaccines three-part seminar series. Join us on Nov. 22, 23 and 24, from 6–7 p.m. at 3600 Rue McTavish, on the 3rd Floor in the SSMU Ballroom. This week-long campaign hopes to establish a community-learning platform through evening-time conferences held by nationwide vaccinology and immunology experts with Q&A sessions. Listen to experts in the field provide credible information, inquire about any of your concerns, and help yourselves to lovely refreshments. More information.